Lessons for all ages! There are lessons for beginners to advanced and everything in between. Come to tailgate every Sunday at CPC. Games are at 1 PM and 3 PM. Email capitolpoloclub@gmail.com to learn more about our Social Membership that includes admission to all games and social events! 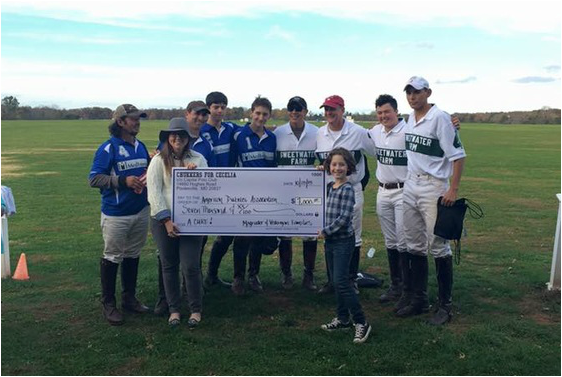 Chukkers for Cecelia on October 25 was a massive success. The day started with the Dia-Beat this match at 1 pm where Old Farm Vet and Miles and Stockbridge played a super fun game! It ended in a 3-3 tie. 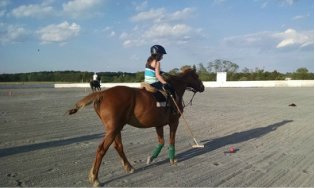 Next, our very own Jack Magruder did a polo demonstration to show all of our guests polo basics. The main match started at 3 pm with Sweetwater Farm sponsored by Darnestown Management taking on Team Medi-Hope sponsored by Medimmune. Our saddle pad sponsor for the game was Chesapeake Corporate Advisors. The game was neck and neck for the second half with every player's defense on point. The game ended with Medi-Hope winning with 4 goals and Sweetwater ending with 3. All proceeds from the match went to the American Diabetes Association and we raised $7000! Thank you to our Title Sponsor, Miller and Long, sponsors Academy Financial and Michael Cogan. Another big thank you to the Java Cruiser and Rita's for your wonderful food and support!